Mullet Haircut Photos & Tips: Leave The Redneck Mullet Kid Out! 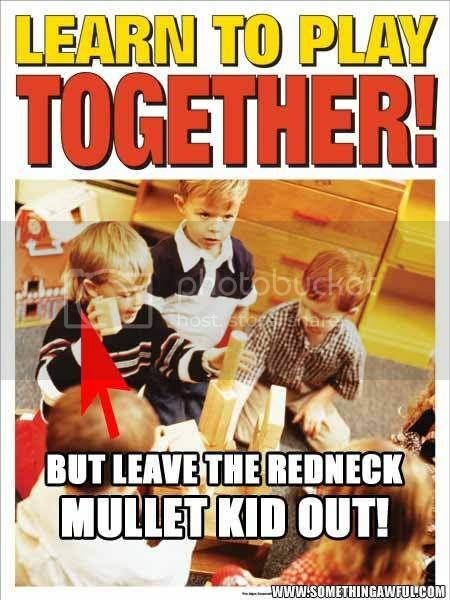 But leave the redneck Mullet Kid Out! I am a Red neck mullet wearing kid so back off!!!!!!!!!!!!!!!!!!!! !